6' Hoop target for use alone or with the target and flag set! Includes a carry bag! 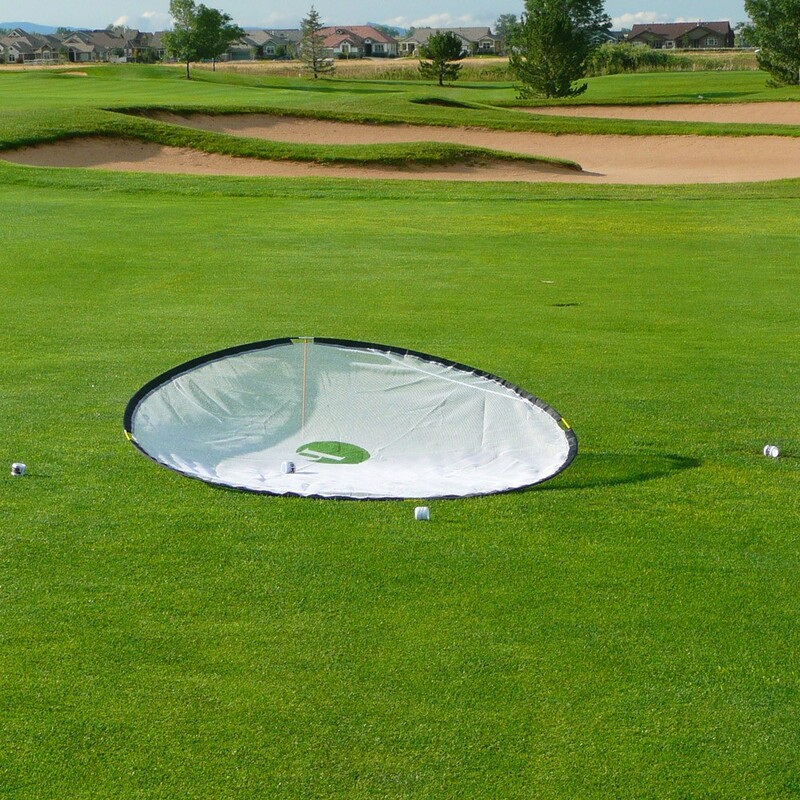 The BirdieHoop 6 foot, netted target was created to be an integral part of the BirdieBall School Golf Cirriculum. Now available for home use this giant net target gives the golfer a great backyard at which to shoot. Prop it up and catch them all. Lay it down flat and let backspin hold either the golf ball or birdieball on the surface. Great to play "In the Zone" one of the great BirdieBall School Games. Hit yours in... hit theirs out. Who has the most balls in the zone? Plus, you can use it together with the amazing BirdieTarget. This combination makes a big target with a small target inside. Can anyone say, OH YEAH!